Prince Harry had a bit of fun at Meghan Markle’s expense when she was talking about being pregnant and her husband joked about whether he was the father. “Surprise,” Markle, who always looks fantastic, replied with a huge smile across her face. “Is it mine?” Harry replied, grinning. Clearly, the royal newlyweds are excited about the arrival of their first child due sometime this spring, per an October announcement from Kensington Palace. 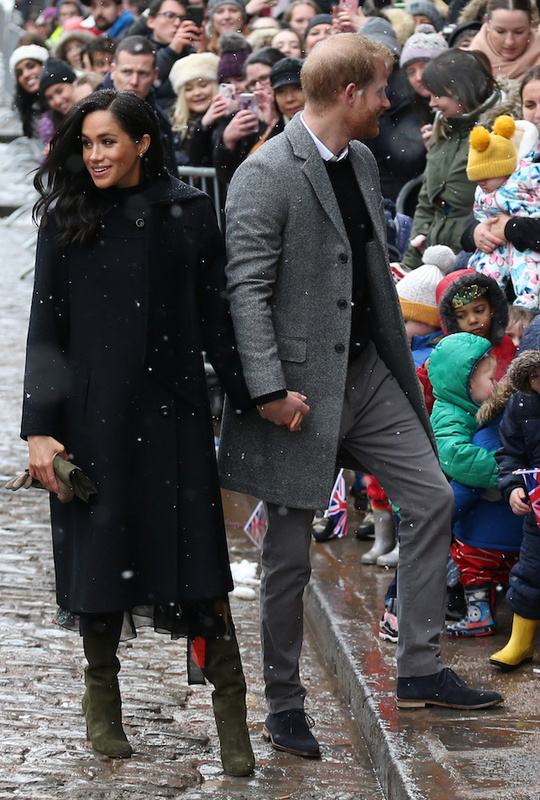 It all comes on the heels of reports that the Duke and Duchess are preparing to move out of their current home, Nottingham Cottage, on the grounds of the palace where Prince William, Kate Middleton and their three children live. At first reports about the two moving came during speculation the Duchess of Cambridge and the former “Suits” actress were not getting along. But more recently, reports have surfaced that the real feud is between the brothers Prince Harry and Prince William. The move is reportedly due to the younger brother distancing himself from his older brother over past comments the Duke of Sussex reportedly found less than flattering regarding his pending nuptials to Markle. The newlyweds are expected to move out in March ahead of their child’s birth. Work is underway to prepare the Frogmore Cottage on the grounds of Windsor Castle and make it more secure.